Many of our longtime users who migrated from Podium 1.x will remember how much easier it was to get good results from transparent png files, and trees in particular. When V2 was released, it brought with it a whole new layer of complexity in terms of transparent masked images. V2's engine is much more sensitive to the method of transparent png creation, and as a result, files that aren't masked in a specific fashion, tend to exhibit pale outlines (often known as 'halos' or 'fringes') around the images. This is because the transparency rendering in the new version is much less tolerant of semi-transparent pixels. This tutorial will show you how to create masks which should hopefully avoid the halo outline. First of all you need to start with a reasonably good outline. You can use the magic wand tool, but cutting out a selection by hand always works better. 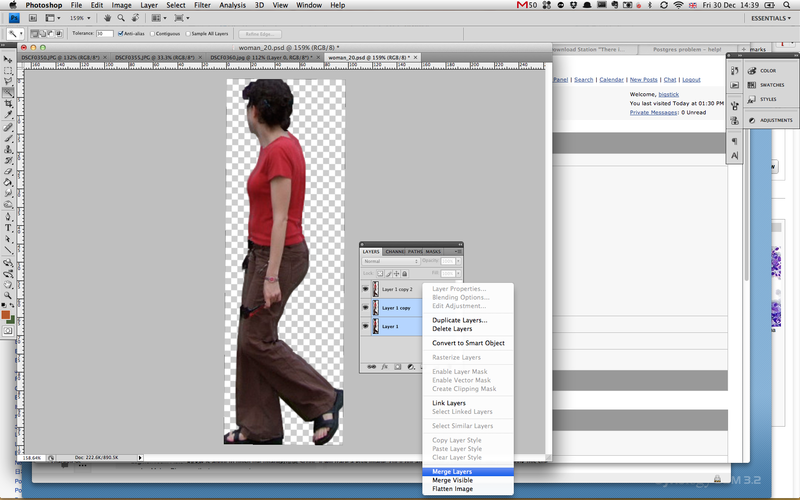 For each stage here, you can refer to the indexed images showing what is being done in Photoshop. 1. 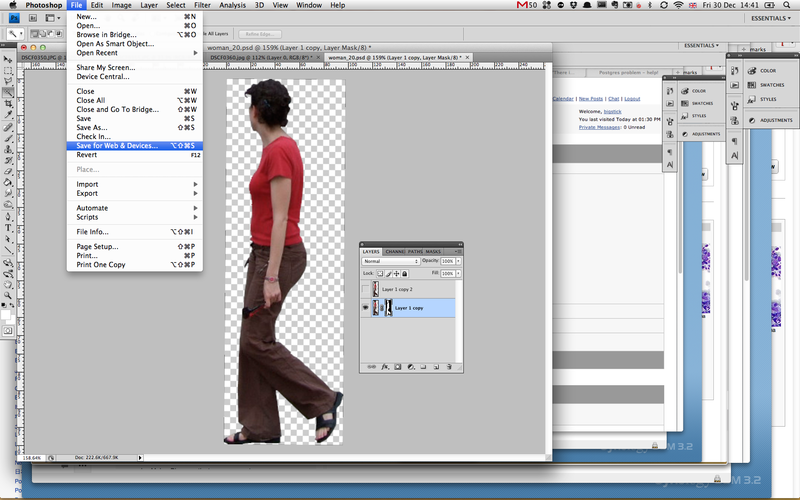 Once you have started with your clean trimmed image, go to >Layer>Matting>Defringe. This cleans up some of the pale outlines. Sometimes, this is enough to end up with a mask that renders well in Podium and you can go straight to stage 7. I never seem to be that lucky, so I have a number of other stages which I use to create perfect masked images - so far! 2. Duplicate your layer twice, to end up with 3 identical layers. Select the bottom layer and go to >Filter>Other>Minimum. This has an effect which is a bit like a graphical version of a CAD 'offset' tool. 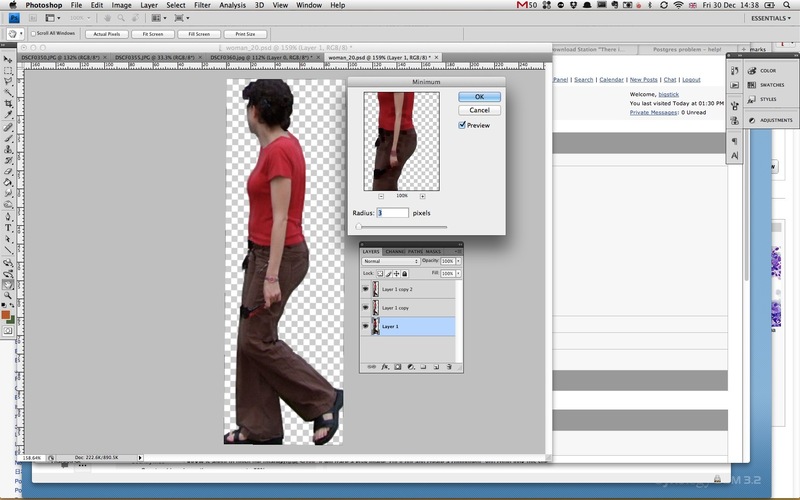 Your filter radius will depend on the resolution of your image. I generally use values of 2-4. If you have used the 'Defringe' tool properly, you shouldn't see any pale outline around the middle layer against the background. 3. Next you merge the bottom 2 layers. This gives you your original mask superimposed over your 'offset' background layer. 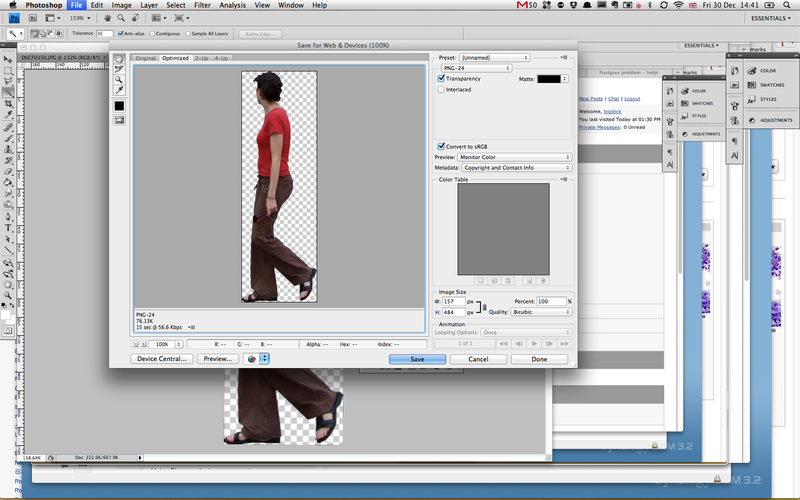 This stage is necessary because it provides a background against which you can trim your image. The halo outline is caused by antialiasing the edges of the image against a white background, creating semi-transparent pixels around the outline. Because the outline has been antialiased against a pale background, the edges have a greyish fringe. We are trimming the outline against a background which is the same colour as the neighbouring edges. 4. 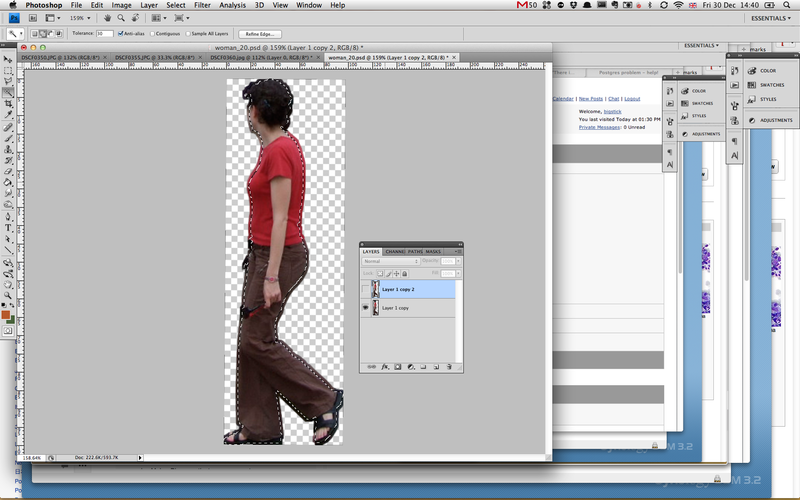 To create your mask, you need to use the top layer (the original trimmed image) to create an outline. You can use the magic wand tool for this, and just click on the transparent background, and use >Select>Inverse so that you are selecting the actual object, not the background. Depending on how clean your outline is, you can also use >Select>Modify>Expand or Contract to clean the outline. 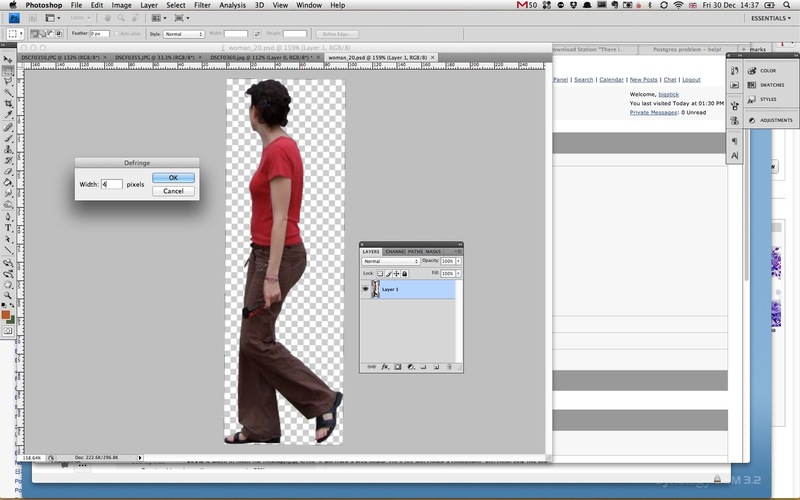 When you have created the outline, turn the top layer off, and make the bottom layer active. You will now have a selection outline which will be used to trim inside the boundary of the merged layer on the bottom. 5. Go to the Masks palette and click on the 'Create Pixel Mask' icon. Image 5 shows what will happen if this has been done correctly. You will have trimmed your outline against a background of the same colour, hopefully eliminating any possibility of a pale outline. 6. Although you have effectively finished the masking process there is another important step left. When you save the image, you need to use the 'Save for Web & Devices' option. Do not use the usual 'Save As' option! 7. 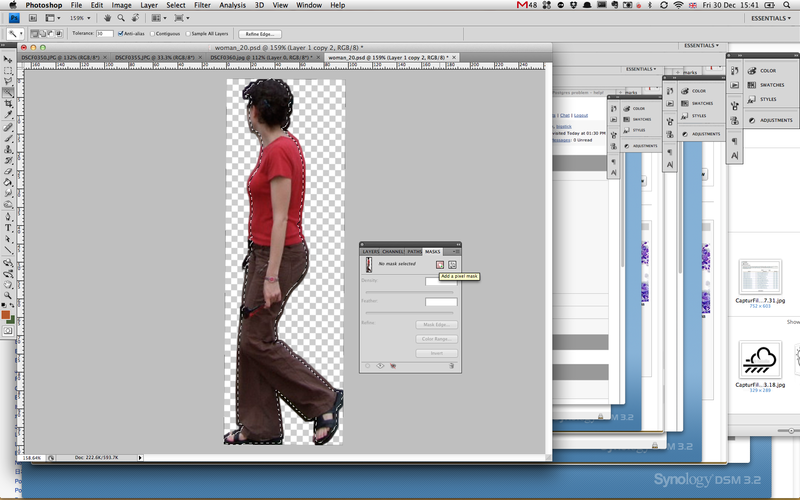 This brings up a dialog showing the png transparency export options. You need to select the png-24 output option, and check the transparency box. You can also use the 'Matte' box to your benefit as well. This usually sets the colour against which your image is masked, but in this case we should have already carefully controlled the background masking. 8. When you import your image into SketchUp for use as a 2d mask, don't forget to explode it. 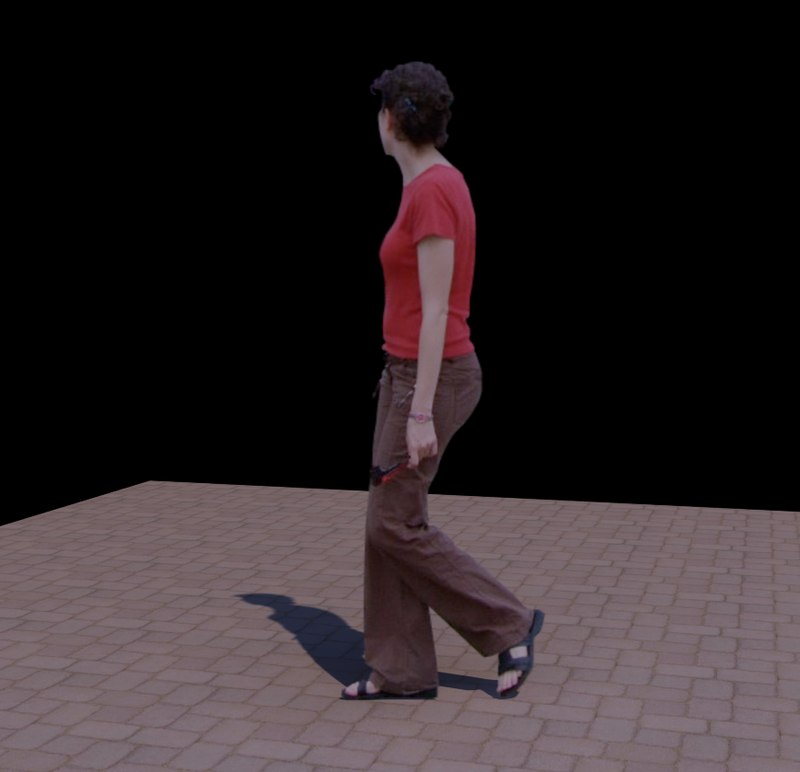 I have hidden the edges, created a face-me component, and set the insertion point so that when you change camera view, the component doesn't move around too much relative to nearby geometry.